The Flipped Learning Global Standards Project was launched in response to the growing adoption of Flipped Learning worldwide. Increased international collaboration among Flipped Learning researchers, practitioners, and administrators revealed the need for a common framework, terminology, and defined best practices. 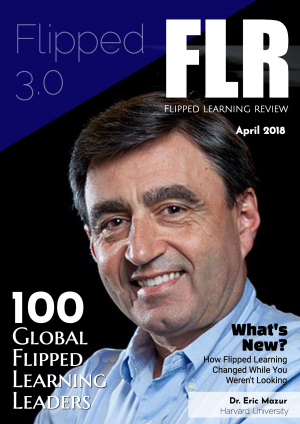 The catalyst for the project was global data collected by the Flipped Learning Global Initiative (FLGI) indicating that as high as 80 percent of Flipped Learning practitioners and trainers are three to five years behind known best practices. International standards are needed to ensure that veteran and new practitioners are grounded in the most current worldwide research and global best practices for Flipped Learning. The Flipped Learning Global Standards Project is the first worldwide initiative to define a common framework for Flipped Learning training and practice. The standards are intended to establish some generally accepted international conventions and global best practices for voluntary adoption by schools, universities, training departments, and Flipped Learning trainers and training organizations. The project aims to establish quality benchmarks based on the best worldwide research and best global practices in Flipped Learning. To see details of how the global standard framework is being developed along with the scheduled timetable, visit the Process and Timetables page.